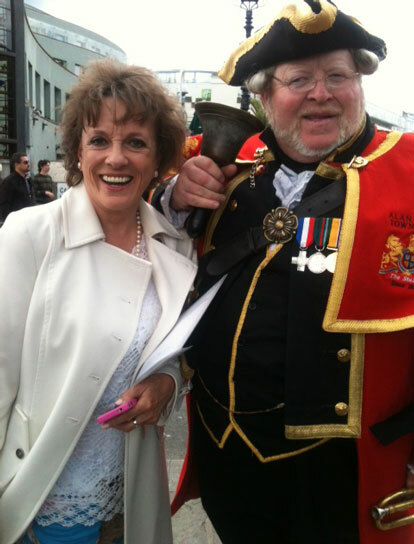 In 2013, Alan Myatt celebrated 25 years as a Town Crier, Toastmaster and Master of Ceremonies. Over the years he’s worked throughout the UK and overseas, taking his own special cast of characters and charisma and entertaining VIPs and children, launching festivals and galas, and promoting companies and charities. 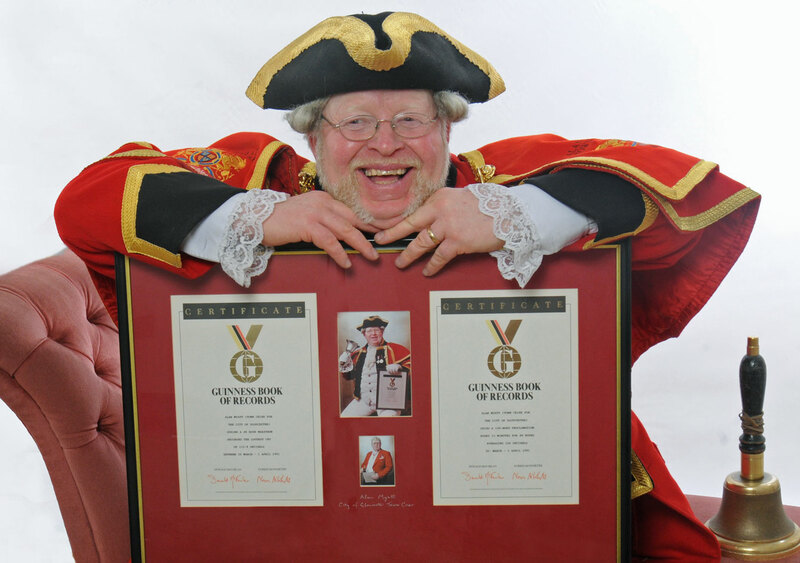 At 112.8 decibels, Alan’s cry of ‘Oyez, Oyez, Oyez’ has been verified by the Guinness Book of Records. He also holds the world record for vocal endurance, issuing a one-hundred word proclamation every 15 minutes for a period of 48 hours. He has made numerous TV appearances including Trouble at the Top, Challenge Anneka, Record Breakers and You’ve Been Framed. He’s been interviewed by the BBC World Service, the Radio 4 Today Programme, plus many other national and regional news programmes. Over the years, he’s worked with the famous and the infamous! 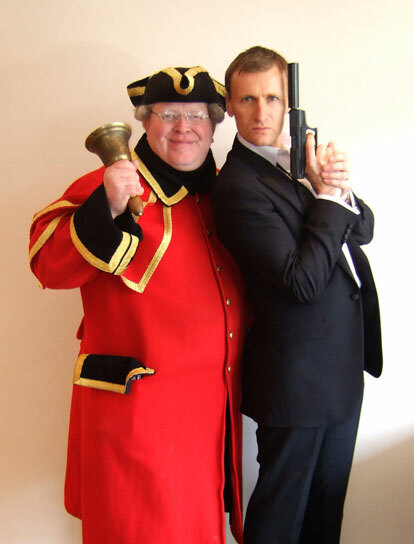 Among the celebrities he has worked with are Roy Castle, Ken Dodd, Barbara Windsor, Boy George and the team from Ready Steady Cook, plus several of the stars from Coronation Street and Emmerdale. He is well respected throughout the industry for the showmanship and experience he brings to all events, whatever their size. Alan has worked with several members of the Royal Family over the years, including the Queen, and he was elected to attend the Meetings & Incentive Travel Industry Awards Gala Presentation in front of HRH, The Princess Royal at the Grosvenor House Hotel in London. 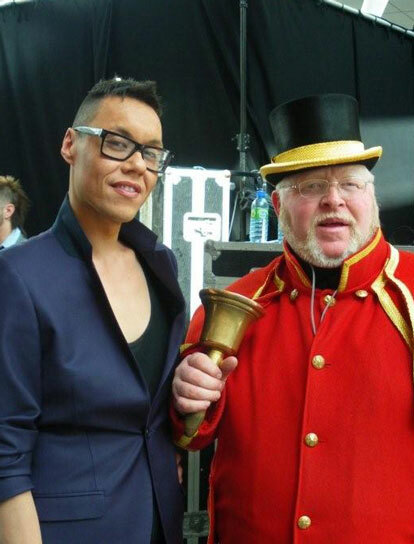 Alan has worked with the Sky Television team and was commissioned to appear at the World Heavyweight Boxing Championships at Cardiff Castle (Lennox Lewis v Frank Bruno). He even made an appearance as Town Crier on the Christmas Eve Lotto Superdraw. 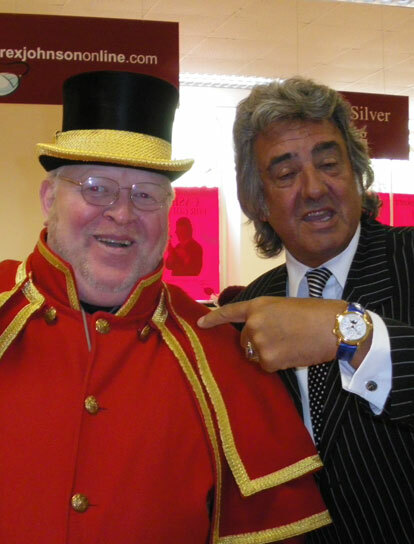 Alan is no stranger to the most prestigious of venues, such as the Royal Palaces, Blenheim Palace, the Institute of Directors, the Queen Elizabeth II Conference Centre, Tower Bridge, not to mention his regular appearances at the Stables Market and Covent Garden. If you’d like to find out more about Alan’s unique range of characters and services, then please get in touch. He’s looking forward to hearing from you!